Being friendly with restaurant owners means you sometimes get to drink beer in their hidden backdoor alleys. It’s a very cool New York thing to do. 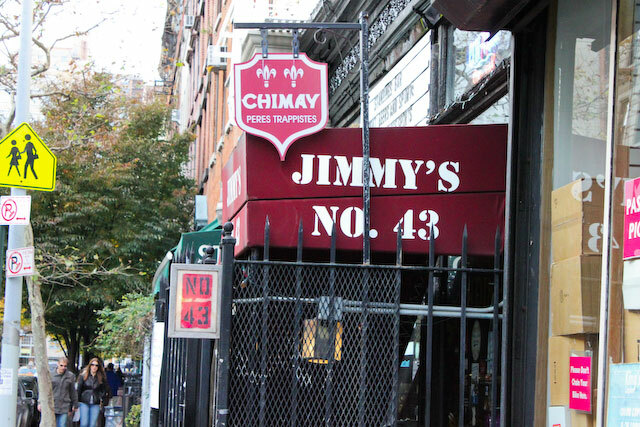 Jimmy’s No. 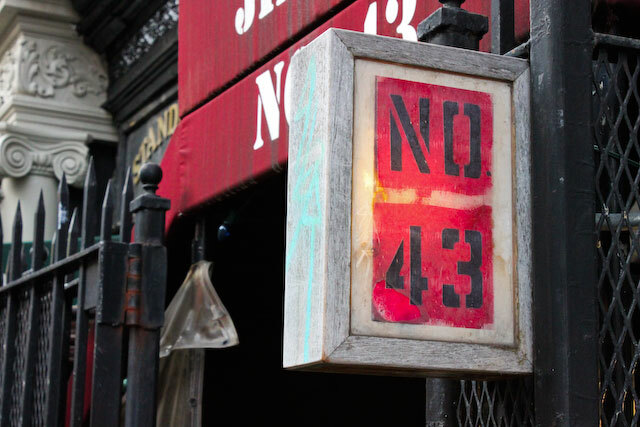 43 is on 7th Street between 2nd and 3rd Ave, on the basement level. Jimmy himself is one of the people behind The Good Beer Seal, so naturally there’s plenty of delicious beer on tap, in addition to the farm-fresh local food on the menu. 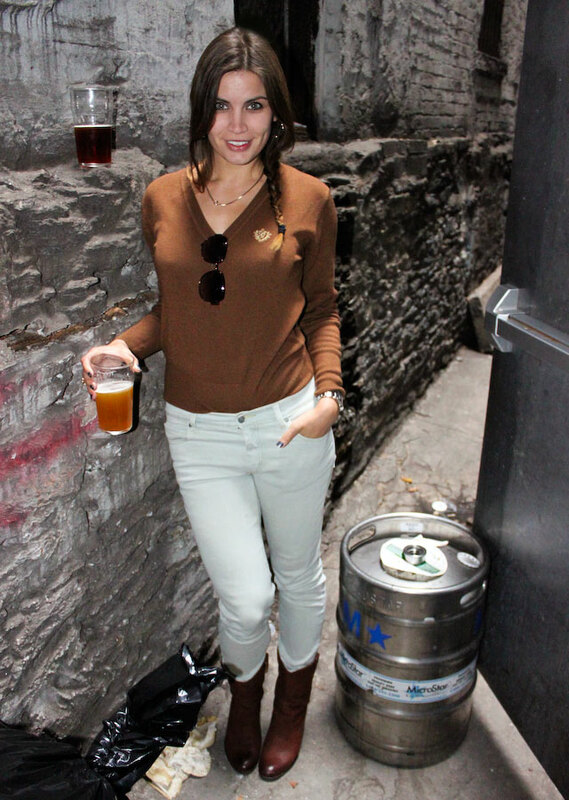 This entry was posted in Food & Wellness, Hot Tips, NYC, Outfits and tagged beer, Hot Tips, NYC, outfits, restaurant. Bookmark the permalink.